Afive-year proposalannounced in Washington, DC this week may help pave the way for the United States to soon drill for gas and oil in portions of the Atlantic Ocean for the first time ever, and open new sections of the Gulf of Mexico for exploration. Near Alaska, new bans would roll back drilling as it exists today. The Department of the Interior revealed its plan on Tuesday for natural resources development during the span of 2017 to 2022, during which time the current administration aims to open up those ocean waters for oil and gas exploration. But while billions of barrels of oil and huge mines of natural gas are believed to be just off America’s shores, the administration’s plan is being seen as a problem by some who say the financial impact may end up being as bad as that brought on by a natural disaster – and prove to be anything but a blessing for the environment and some local economies. 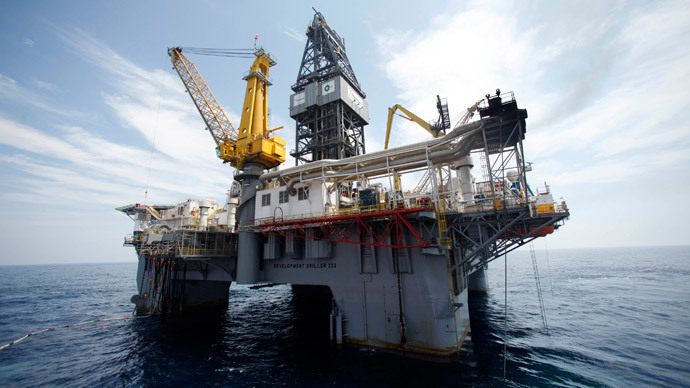 If approved in its current state, the plan would allow the US to lease out portions of the Atlantic seaboard to the oil industry for the first time and open up new portions of the Gulf of Mexico. At the same time, the proposal calls for a ban on drilling in parts of the Arctic Ocean’s Beaufort and Chukchi Seas outside of Alaska. "This is a balanced proposal that would make available nearly 80 percent of the undiscovered technically recoverable resources, while protecting areas that are simply too special to develop," Interior Secretary Sally Jewell said in a statement. "The areas off the table are very small in comparison to areas on the table." Environmentalists, energy industry players, and politicians alike are raising their voices about what this could mean for the future of America’s economy as well as the world. Others representing the Democratic Party on the East Coast aren’t convinced, however, including Sen. Cory Booker, Sen. Robert Menendez, and Rep. Frank Pallone – all New Jersey lawmakers on the left who said the plan "poses a serious threat to coastal communities throughout the region, and is the wrong approach to energy development in this country." Environmentalists aren’t entirely convinced either, especially not in the wake of the disastrous BP oil spill that polluted the Gulf of Mexico in 2010. "It would ignore the lessons of the disastrous BP blowout, the need to protect future generations from the dangers of climate change and the promise of a clean-energy future,” Bob Deans, a spokesman for the Natural Resources Defense Council, told The New York Times. In Alaska, politicians are outraged, but for another reason. North of the continental United States, Alaskans say the restrictions would ravage the economy in the oil-rich region. “It’s becoming undeniably clear that this Administration does not view Alaska as a sovereign state, but rather an eco-theme park for the most extreme environmentalist allies of the President and his party,”weighed in US Rep. Don Young, a Republican lawmaker. “This administration is determined to shut down oil and gas production in Alaska’s federal areas — and this offshore plan is yet another example of their shortsighted thinking,” added Sen. Lisa Murkowski (R-Alaska). According to The New York Times, Interior Department officials said the opening of any Atlantic Ocean waters for prospective drilling would occur 50 miles offshore. Yet while the agency wants to see those resources tapped starting in 2017, Jewel, the Interior secretary, told the Times that inking the deal on a drilling lease might not come until after 2021. Meanwhile, Charles Ebinger, a senior fellow in the Energy Security and Climate Initiative at the Brookings Institution in Washington, told McClatchy that all sides of the argument are surely to fight it out in the few years before then. “It will be a battle royal,” Ebinger said. According to McClatchy, government officials believe 3.3 billion barrels of oil and 31.28 trillion cubic feet of natural gas exist off the Atlantic coast. In order to make any offshore operations viable, though, some say the price of crude oil must experience some significant changes. Nathanial Gronewold, a reporter for E&E Publishing, wrote this week that offshore experts believe crude will need to stay above $50 per barrel – a few dollars above its current price – in order for the oil industry to even consider new large-scale projects. Natural resource extraction operations currently exist to a degree in the Gulf but, as RT reported earlier this month, not much is known about those endeavors. Attorneys representing the Center for Biological Diversity are currently suing the Obama administration following a Freedom of Information Act request for details about offshore hydraulic fracturing – or fracking – in the Gulf, which has gone unanswered.